Three Story Urbanism? No Problem. The photos above show some capably designed 3 story buildings. It is possible to do this. If you have doubts and you need some help, I suggest that you contact the good folks at Union Studio in Providence, RI They designed the two 6-plex buildings on the lower left or Eric Brown at Brown Design Studio in Savannah Eric designed the white 6-plex walk-up in the larger image on the right. 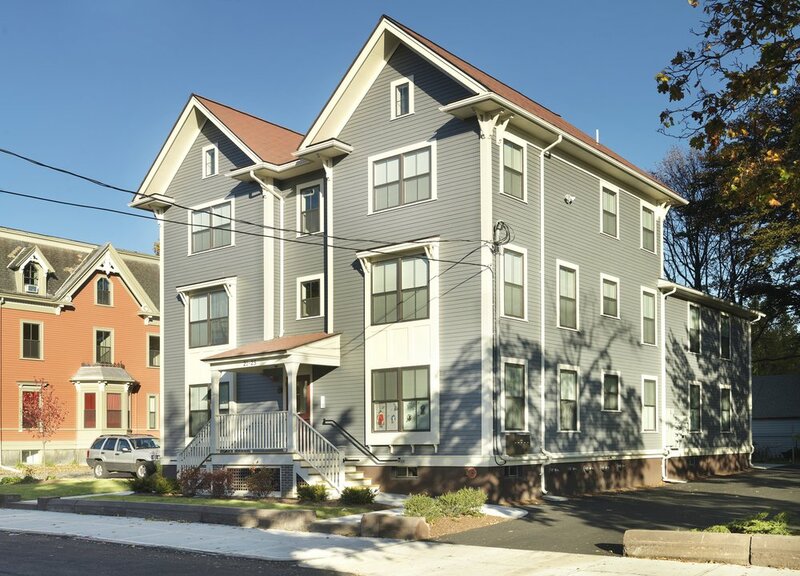 My able partner David T. Kim designed the 22 unit Hutchinson Green Apartments in the upper left as our first major project after the Great Recession. So 3 Story Urbanism is no problem? Okay, admittedly that title does cross the line into Click Bait, because while these hard working modest buildings are very useful in creating 3 story urbanism, your local zoning code with it's needlessly deep building setbacks, or bloated off-street parking requirements may make it quite difficult to build good #3StoryUrbanism. But as you can see, but the International Building Code should not be an issue for you. 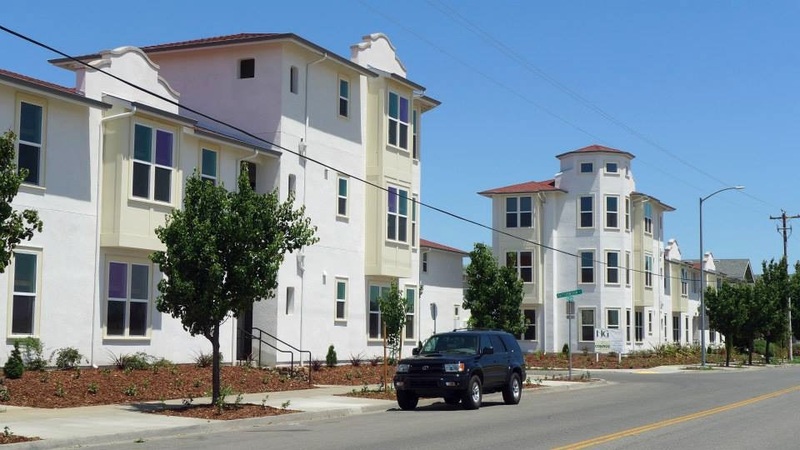 Bloated parking requirements will mess up your site plan so that you cannot build the same way as the venerable 1920's 3 story apartment building across the street. Municipalities are famously bad at guessing how much parking you should be required to build on your private parcel. Many cites will not even give you credit for the parking spaces at the curb in front of your potential building -as if they do not physically exist. Unnecessary parking takes up space, creates additional impervious surface that you have to address for the storm water requirements, and those additional spaces cost money to build and maintain. Bloated parking screws up perfectly good projects every day. The development math for parking you don't need never works in your favor.